Have you heard about the war for talent? With less applicants to choose from attracting and keeping talent has become a critical issue for organizations nationwide. This is not a situation that will be going way in the near future – so who we hire is going to become even more important. It seems that everyone is worried about how to attract and retain educated, skilled, and trained talent. And what you may already have seen is your latest hires is that not everyone who available to be hired has the skills needed to be successful when they work in your organization. We appear to have a learning problem. What is needed to compete? Leaders must keep inspiring, motivating and enabling their teams. They need to spend even more time with their folks, listening, directing, coaching, mentoring and providing the information people need to accomplish their goals and objectives. Revisiting (or creating) the vision, mission and cultural values and making them visible allows everyone to create policies, procedures, systems and practices that are in sync. Never underestimate the value of communication, communication, and communication. The messages people receive from their leader creates the atmosphere that attracts and retains people. Managers don’t have to have charisma; they need a solid foundation of communication skills. Leaders now need to have a solid understanding of diversity and inclusion when it comes to multiple generations, culture, and gender concerns. What worked in the past is going to have to be modified to accommodate a workforce that has a wide variety of expectations and perspectives. 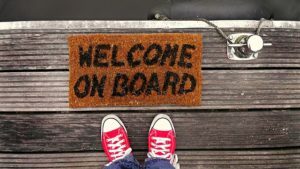 How are people being made to feel welcome, respected, and valued? Technical skills are as relevant as ever with advancements being made almost weekly. Technical experts who are elevated to leadership roles will need to be able to leading experts and if delegation and communication skills are not rock solid, there could be a lack of knowledge transfer. Investing in more technical training is going to be required for organizations to stay competitive. Staying one step ahead is the only way to keep from falling behind. Most managers don’t know how to coach their employees. While organization could provide training for skills in coaching, mentoring, and delivering feedback, more and more employees are taking steps to manage their own careers independent of their boss. While the days of traditional career paths and one step at a time advancement are gone, a good manager who can coach can act as an internal engagement and retention agent on behalf of the organization. The demographic projections and shifts will continue. Does your organization have a plan to position themselves well to manage it? This trend is not coming – it’s here now. This entry was posted on Tuesday, November 6th, 2018 at 10:34 am. Both comments and pings are currently closed.